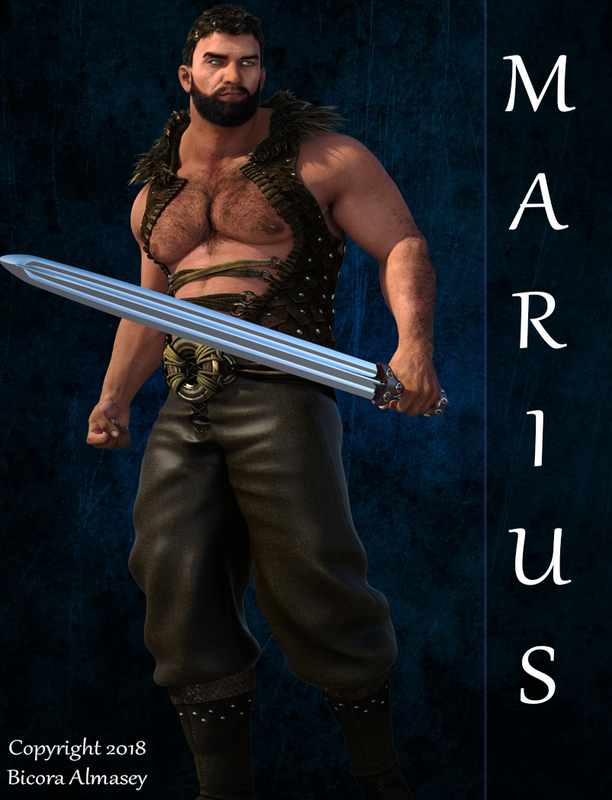 Marius was raised in clan of vikings who were know for their fierce strength in battle and ability to shape shift into werebears. Growing up he was always made to train, as was tradition for his people. As time went on he became stronger and tougher. The Chieftain saw his skills in battle, and so he took the boy and brought him into the ranks of the clans fiercest warriors at the age of 18. There he was taught several skills to help in his life, such as Black smithing to help him keep his gear in top condition. By 26 He was fully trained in the art of calling force the power buried within and shape shifting into his werebear form. Their clan had fought many a battle with neighboring clans looking to control their territory. Their shape shifting ability always gave them the edge, due to the increase in size, strength, and stamina. At age 30 there was an incident, feeling shamed for what happened he left the clan, setting out in the night, He couldn’t face his people anymore after what happened. So now he wonders, trying to find some peace in his life. Facial Hair: Medium length with scruff on the sides. Body Type: Brawny with a small muscled gut. Pouch of gold, Iron spear, leather pants, Cloak, and a broad sword. Has a weakness for Orcs and muscular men, especially if they are warriors.